Handles pot loads of up to 500Kg, manufactured from stainless steel and includes dip trays. Jet Burners 32. The best choice for the professional caterer. BTU's 151840.319. Hotpoint DSG60K 60 Cm Gas Cooker Black & Stainless Steel. Condition is Used. Cooker is just over 2 years old hasn’t really been used for the last 7-8 months, looks virtually brand new and has been thoroughly cleaned since these photos were taken. Collection only. 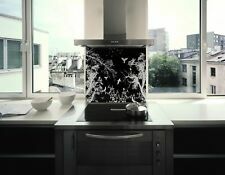 BE THE ENVY OF ALL YOUR FRIENDS WITH THIS STYLISH, BESPOKE SPLASHBACK. OUR FIRST EVER SALE IS HERE. 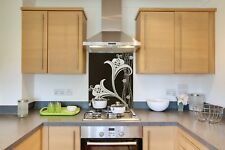 OUR DESIGNS HAVE BEEN SPECIALLY DEVELOPED FOR USE ON OUR SPLASHBACKS AND THE PATTERN HAS BEEN TESTED WITH THIS PURPOSE IN MIND. The Roma 70cm Single Dual Fuel Range Cooker possesses powerful ILVE cooking technology within a slim 70cm contemporary styled unit. The 70cm dual fuel model features 4 of ILVE's high quality, cast-iron individual pan supports and solid brass burners. Knob type : Cannon 2006. Colour : Black. Integrated cleaning system of main cavity : Catalytic all sides. Main oven type : Conventional. Energy input : GAS. STRUCTURAL FEATURES. Leisure 110cm Dual Fuel Range Cooker With 3 Ovens And Separate Grill In Stainless Steel. Five burner gas hob with a dedicated hob top griddle. 12 Function main oven with 65 litre capacity. 58 L secondary fan oven for extra capacity. The Simfer SCO52EX is suited to all your cooking needs. There is also a grill and four hot plate hobs ranging in size from 2 x 14.5cm 1000W plates to 2 x 18cm 1500W plates. We have years of experience and know exactly how to deal with everyone. ** BLACK** 12MM STAINLESS STEEL 700x750 SPLASHBACK WITH UTENSIL RAIL. Rangemaster Professional Free Standing 110cm Double Gas Range Cooker - Black. Number of induction plates2. Depth (mm)510. Width (mm)288. Height (mm)56. 4 gas burners. Double glazed. Suitable for use with LPG (liquified petroleum gas) - adaptor kit included. Combined with top oven. We have for sale. These are from a cancelled order. Energy consumption 0.83kWh. Pick up only from Storrington RH20.